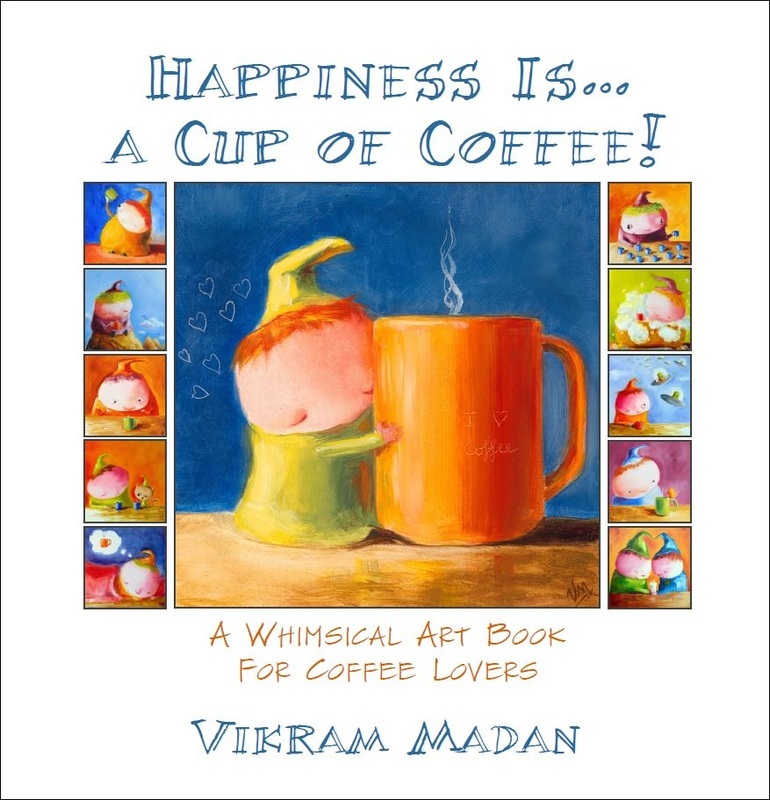 This Mini-Art-Show-in-a-Book features 43 fun little don't-take-life-or-art-too-seriously coffee-themed paintings that celebrate humor, color, art and, most importantly, COFFEE! 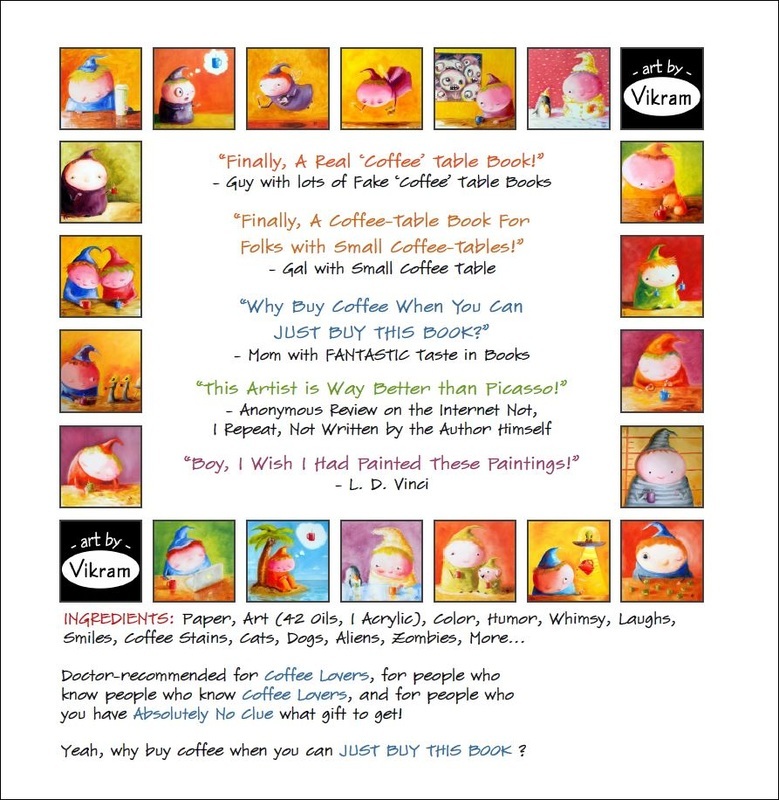 An excellent gift for pretty much anyone who knows what coffee is or appreciates humor in art. 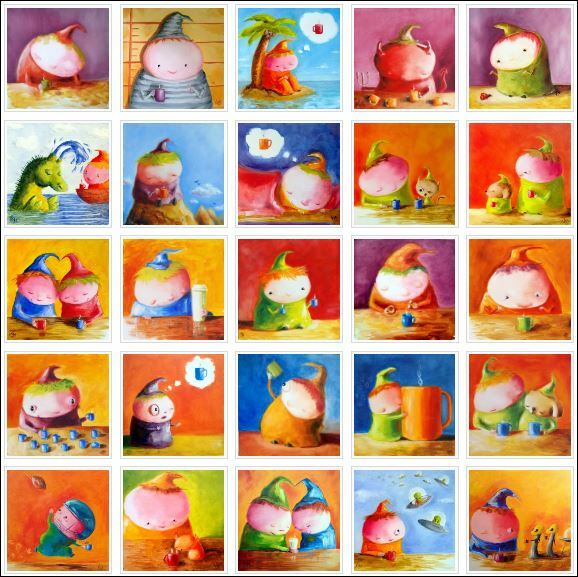 My smile-generating coffee-themed paintings are very popular - and best enjoyed when they're displayed all together. 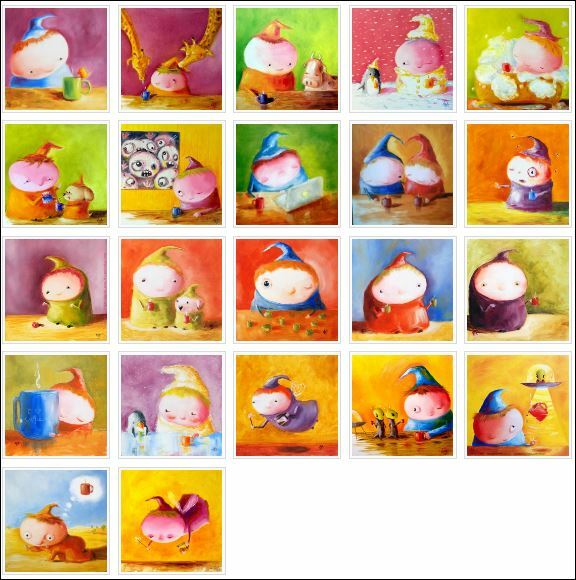 Unfortunately, it's hard to see them in one place any more because most of the originals have sold, and, despite my fondest hopes :), it's not really feasible to buy prints of all of them all together. I therefore felt a need to make a little coffee-table art book so the paintings can once again be enjoyed in context of each other. 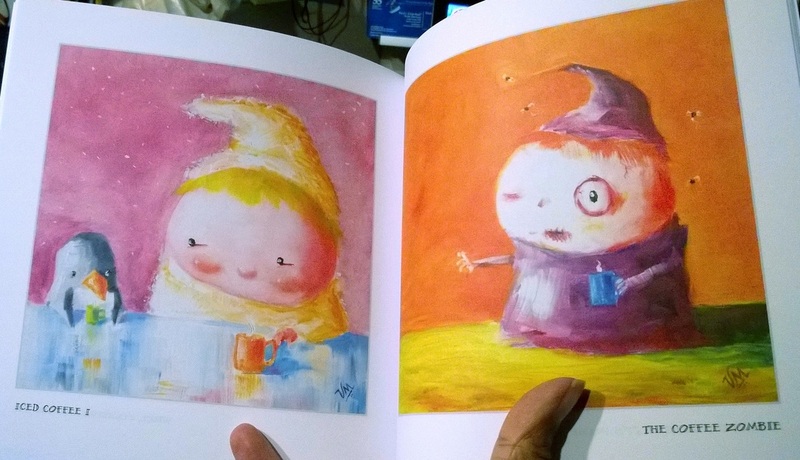 This book has 43 paintings (see flipthrough video on the left). 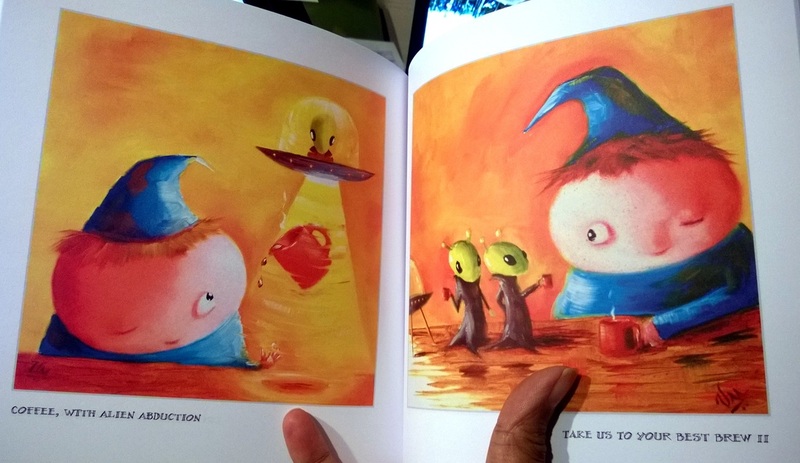 Reasons to buy this book: you like coffee, you like art, you like humor, you like me, you have space on your coffee table, or you're just looking for a gift for someone and really don't have any clue what else to get! Buy from Amazon.com (fastest) or buy a signed copy from my Etsy store or ask your local Seattle-area gift-store or art-gallery to stock it.